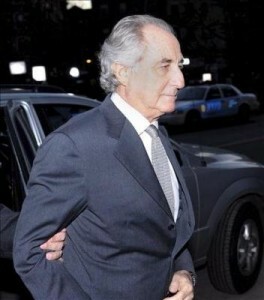 It may come as little shock to most that ripoff king Bernie Madoff’s brother Peter Madoff is in trouble. Bloomberg news service is reporting that Peter Madoff, the chief compliance officer at Bernard L. Madoff Investment Securities LLC, is the subject of a criminal investigation. The news came out in a civil suit. The United States Attorney’s Office “has informed us that Peter Madoff is a subject of its criminal investigation,’’ attorney Charles Spada wrote to U.S. Magistrate Judge Madeline Cox Arleo in Newark, according to Bloomberg. Posted: 1/28/10 at 9:26 AM under News Story.